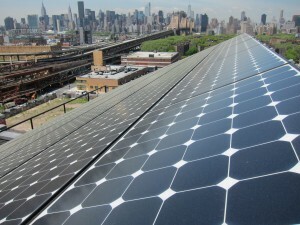 New York’s Standby Tariff: Standing in the Way of Distributed Energy? Late last month, New York took a major step toward rethinking utility economics when it issued the “Order Adopting a Ratemaking and Utility Revenue Model Policy Framework” (also known as Track 2 Order). This action aims to better align New York’s electricity system with Reforming the Energy Vision (REV), the state’s initiative to transform the electric grid into a cleaner, more efficient, and affordable system. But buried in this 180-plus page document is another important development for New York’s clean energy future: Nearly 10 pages are dedicated to re-examining the state’s controversial standby tariff. Frequently cited as a major obstacle to distributed power generation (e.g. combined heat and power (CHP) systems, rooftop solar panels, energy efficiency, and storage), the standby tariff is a special electricity rate charged to large commercial and industrial customers who produce some of their own electricity but remain connected to the grid. While utilities say they need standby tariffs to recover the costs of maintaining a reliable electric grid, many potential and existing large electricity customers producing their own power see standby tariffs as perversely designed to undermine the business case for distributed generation. Unless the standby tariff is fixed in a manner that clears the way for investment in customer-owned and sited distributed generation, it will be hard to make REV’s revolutionary vision for a decentralized, competitive electricity market a reality. In their argument for standby tariffs, utilities say they must recover not only their ordinary costs of distributing electricity, but also their incremental costs of maintaining the reserve electricity needed in case customer generators break down and need to draw more electricity from the grid. Additionally, utilities argue the standby tariff protects non-power-generating customers by ensuring reserve-electricity costs are not shifted from the power-generating customers to non-power generating customers. The utilities claim that absent a standby tariff, there would be an unfair subsidy for large customers who choose to generate their own electricity. But the standby tariff must be viewed in the context of how conventional, regulated utilities have made money for more than 100 years. Unlike just about every industry in our economy, utilities and their investors are guaranteed above-market rates of return on capital investments, such as new power plants, transmission lines, and distribution facilities. Since distributed generation lessens the need for investment in these types of facilities, utilities have scant incentive to encourage its adoption. Hence, the widespread skepticism on the part of large electricity customers producing their own power. The potential and existing large energy consumers who own and operate distributed generation, notably New York City’s real estate developers and their trade association, the Real Estate Board of New York, have been among the most vocal and persistent critics of Con Ed’s standby tariff. In fact, the Durst Organization, a prominent New York City real estate developer, announced in January that its Hallets Point residential project slated for development in Astoria, Queens would generate all of its own electricity, and not connect to the grid. This announcement was widely viewed as a reflection of the Durst Organization’s prior disputes with Con Ed over the standby tariff. The tariff is so complex and difficult to apply that even high-priced energy consultants can only predict its financial impact with great difficulty and many qualifications, creating still another disincentive to investment in distributed generation. Short of a Durst Organization-style grid defection, the large energy consumers who own and operate distributed generation (or would be inclined to do so) offer three types of proposals for “fixing” Con Ed’s standby tariff. Some insist that the standby tariff should simply be abolished. Nearly all stress the need for more transparency to make the underlying rationales for divvying up reserve capacity costs among different categories of customers clearer, and to make it easier for power-generating customers to understand the complex tariff formulas that must be applied. Many seek quick and dirty fixes such as modifying particular cost allocation formulas, credits or exemptions. Much more work must be done to hash out the complexities of the standby tariff and its barriers to clean, distributed energy. The recent issue of Track 2 Order serves as an important starting point for reforming the standby tariff, and shows that state officials are beginning to work toward comprehensive, long-lasting solutions. But much more work must be done to hash out the complexities of the standby tariff and its barriers to clean, distributed energy. In Part two of this post, I will expand on the large energy consumers’ proposals to fix the standby tariff, show how a course can be charted toward long-term, equitable, and broadly-acceptable solutions that can foster significantly more investment in distributed generation, and propose modifications that will lead to cleaner distributed generation. This is one of two blogs exploring the standby tariff in New York and how it discourages distributed, on-site, customer-owned and operated power generation. In part two, we’ll explore how a course can be charted to fix it. This entry was posted in Electricity Pricing, Energy Storage, New York, Solar Energy, Utility Business Models. Bookmark the permalink. Both comments and trackbacks are currently closed. 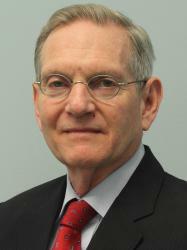 As EDF’s Senior Specialist, New York Clean Energy Real Estate, Marc Rauch works with owners and managers of New York commercial real estate, trade groups, and city and state officials to promote the adoption of clean energy solutions in New York’s commercial buildings.